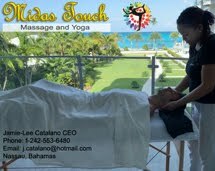 Preserving the environment of Abaco, The Bahamas through education, conservation and research facilitation. This past year as we celebrated 30 years of FRIENDS we revised our strategic plan and reflected on how the organization has grown and evolved. 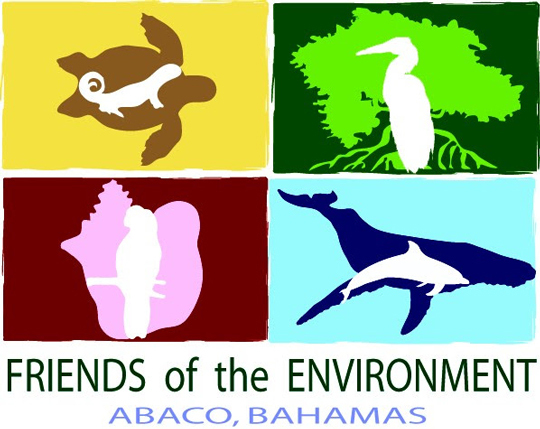 FRIENDS has adopted the vision "we are an island community that will be living sustainably, and proud to be stewards of our rich biodiversity" and we adjusted FRIENDS Mission Statement to read "preserve the environment of Abaco, through education, conservation, and research facilitation." Environmental education is important now and for future generations. 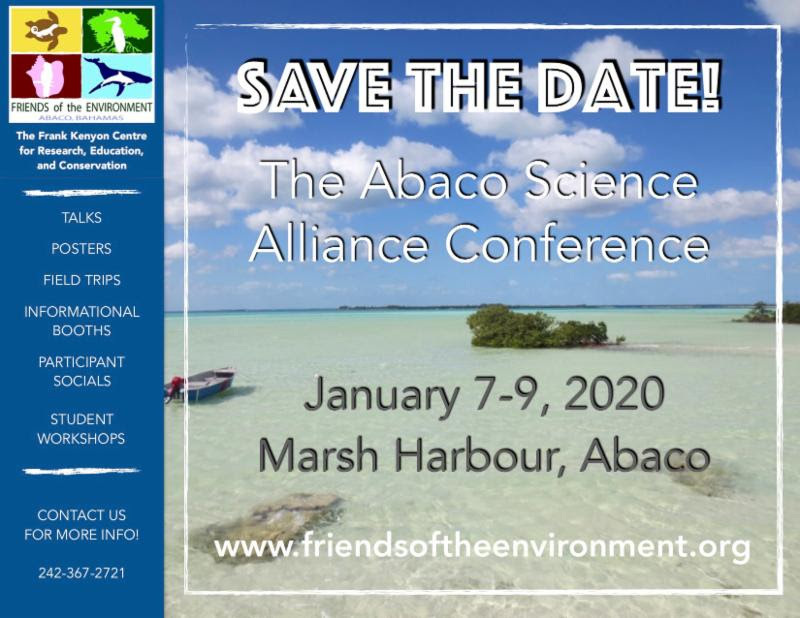 As Abaco continues to grow, we recognize that there is a need for continued environmental education, greater conservation efforts and more research. 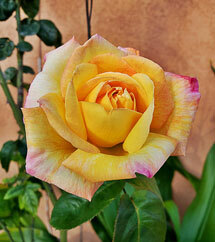 Each plays a critical role in creating change. In the coming years, we are seeking to broaden our reach in the Abaco community, diversify our approach to raising awareness on marine resource regulations, and reinforce the importance of behaviour-change for improving island-wide sustainability. Continuing to work together to provide more education experiences will further secure the protection of Abaco's environment. Happy New Year to you and thank you for your continued support! 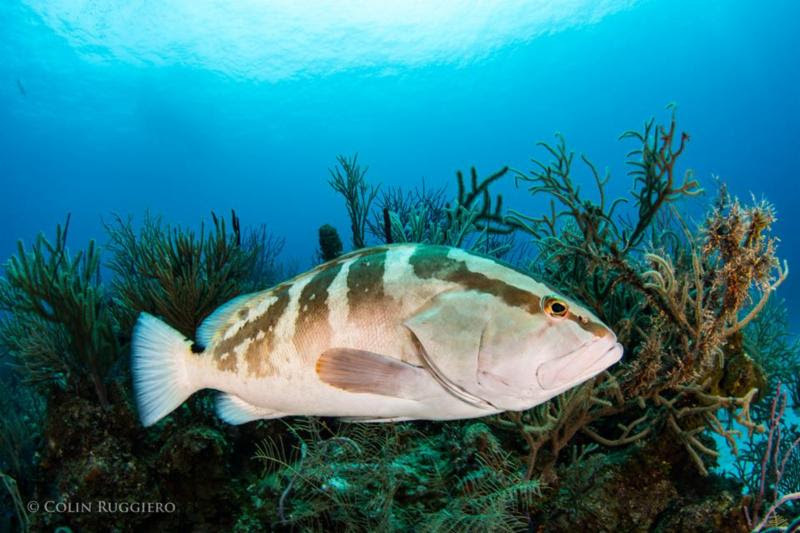 Why: Nassau Grouper are listed as a critically endangered species. With their cultural and economic importance for The Bahamas, we must do our part in practicing sustainable fishing. The threat: The main threat to Nassau Grouper is fishing of their spawning aggregations. The dates for the closed season were selected to give Nassau Grouper a chance to mate and reproduce for future generations. - Between December 1-February 28: target other species when fishing, do not sell Nassau Grouper, and refuse it as a menu option. Marine biology students from Plymouth University in the UK did a field trip with us to the mangroves near Camp Abaco during their stay at the Kenyon Centre this month. 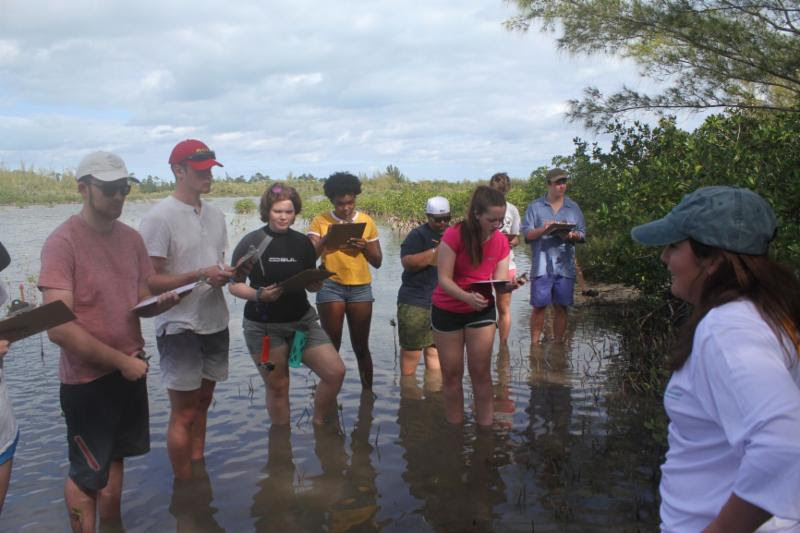 11 students and 3 professors learned about the different types of mangroves found in The Bahamas, invasive species and other threats to this ecosystem. 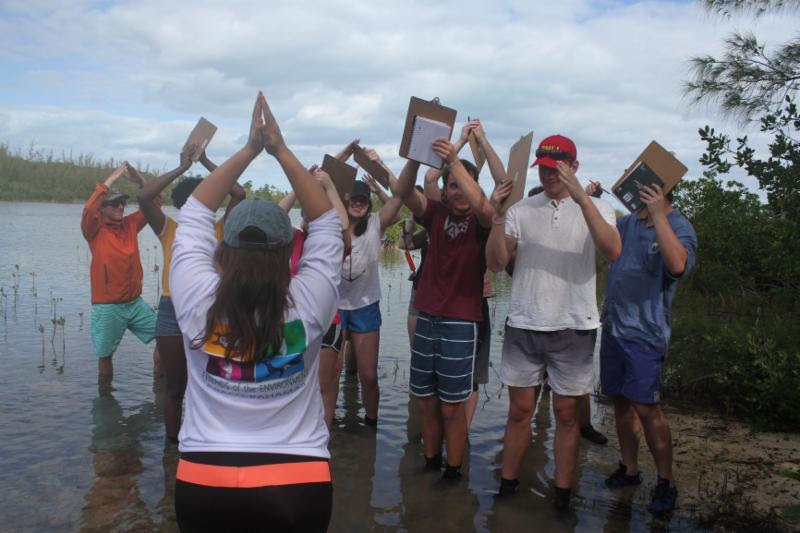 This was all of the students first time to a mangrove ecosystem, and they had a great time exploring and getting the full hands-on experience. This is the second year we have taken a group of students from Plymouth to the mangrove ecosystem, and we hope to continue providing this experience for universities like them and other groups who stay at the Kenyon Centre. A fun rhyme and simple hand motions help younger students remember the four types of mangroves. Here Plymouth Uni students are getting into the spirit by trying it out for themselves. 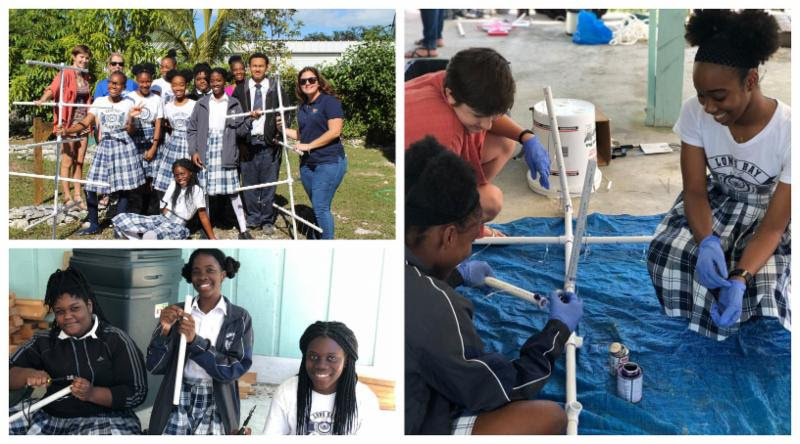 Grade 10 students from Long Bay School had the opportunity to come to FRIENDS to build the structures for coral tree nurseries this month. FRIENDS partnered with Hayley-Jo Carr, Training Director & Coordinator for Reef Rescue Network, a network created by the Perry Institute for Marine Science to put more focus on reef restoration. Coral tree structures are one of the many designs created for the initial purpose of restoring damaged reefs. Our after school programs are back in full swing as of this month. In our after school programs, students get a chance to do hands-on science experiments and activities and interact with students from other schools on the island. Each after school program is unique and we are looking forward to another great semester with the students! ALL classes run from 3:30pm-4:45pm on said days. Currently, the only availability we have is for our Sea Beans after school program. Check back in the Fall if your student missed this semester! Ocean Science and Marine Conservation students from Plymouth University spent a week with us at the Kenyon Centre this month. 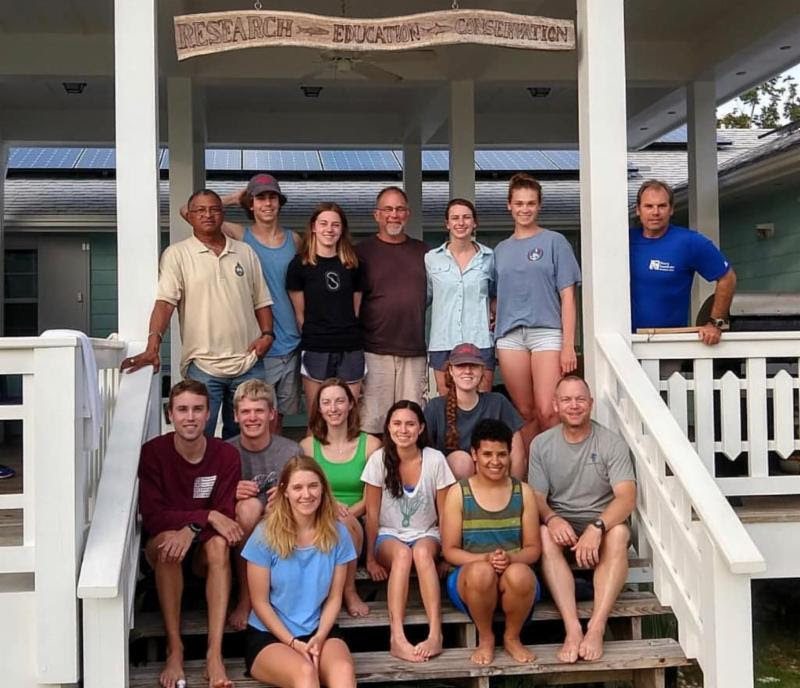 Part of their program at the university is a residential week abroad to study marine ecosystems in The Bahamas. During the week, students place themselves into groups to address a current topic of concern in The Bahamian environment. This year, students focused on research such as conch and seagrass relationships and coral reef biodiversity. Some of FRIENDS staff got to sit in and listen to their presentations on their research topics at the end of the week. This is the second year that Plymouth has stayed at the centre, and we are looking forward to this group being annual guests! Check out a video put together by Hayley-Jo Carr of the Perry Institute for Marine Science from their trip here. 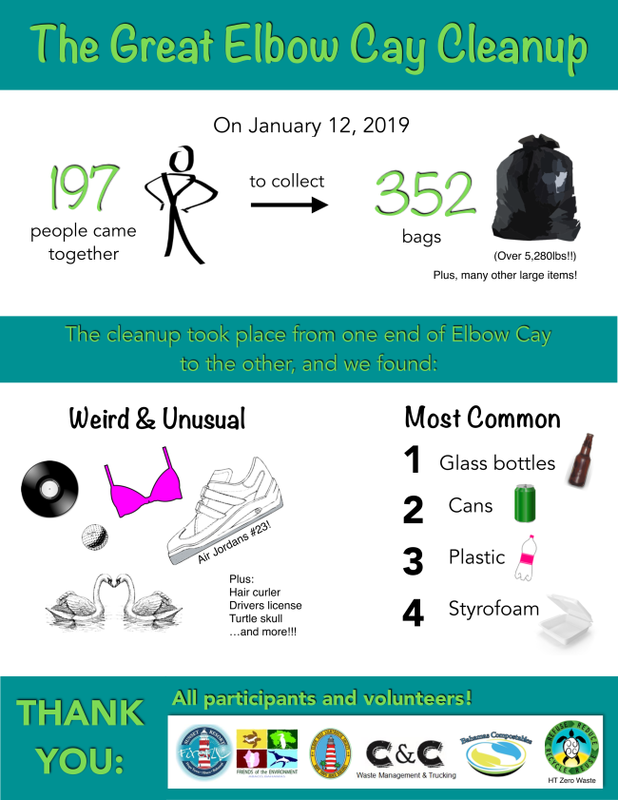 On Saturday, January 12, locals and visitors of Elbow Cay joined together as a community to clean up the island. We are happy to share the results in the infographic below. Thank you to all of the participants, volunteers, organizers and people who inspired this cleanup to take place. 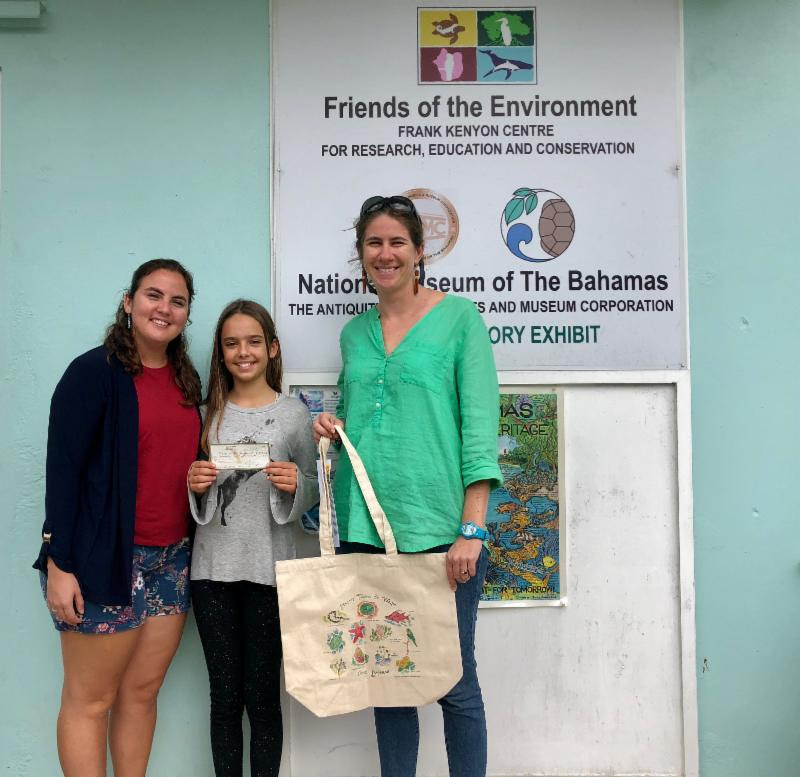 Special thanks to Firefly Sunset Resort, Elbow Reef Lighthouse Society, Hope Town Zero Waste Program, and Bahamas Compostables. If you are interested in hosting a cleanup in your community, don't hesitate to reach out to us - we'd be happy to share how it all came together. Community effort goes a long way! This team collected over 50 bags of trash on the island. 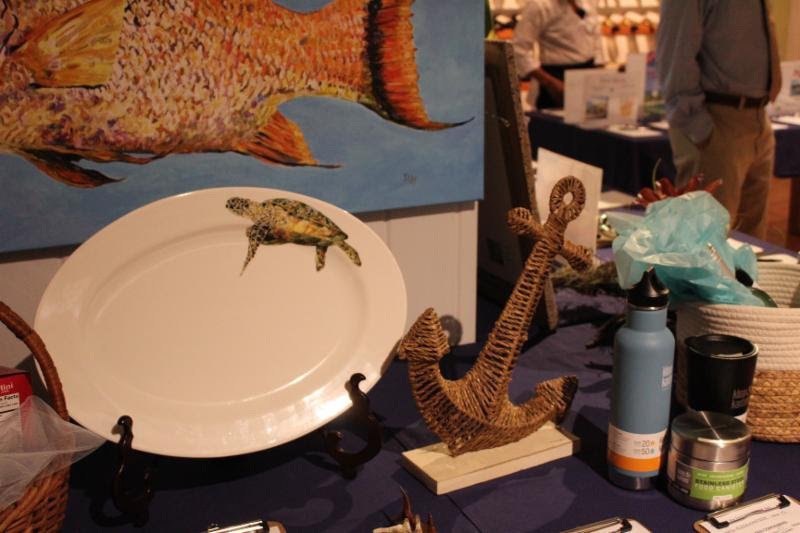 Hope Town Reef Ball proved to be a night to remember at the Abaco Inn on January 26th. Guests were welcomed for cocktails and to start the night off with our silent auction, and then seated to enjoy a lovely meal during our live auction. The rain didn't stop us from dancing the night away to the sounds of "Suppa Time", a great way to end the night. Congratulations to our Environmental Award winners for 2019, Mike Lightbourn of Guana Cay and Neil & Rachael Aberle of Hope Town. 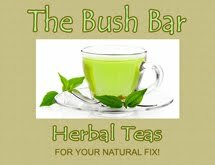 They have proved to be advocates of our environment, living an environmentally-friendly lifestyle and encouraging others to do the same. Thank you to Tom at the Abaco Inn, our auctioneer Michael Albury, and all of our guests and volunteers that made this event possible. We are looking forward to our Marsh Harbour Reef Ball next month! 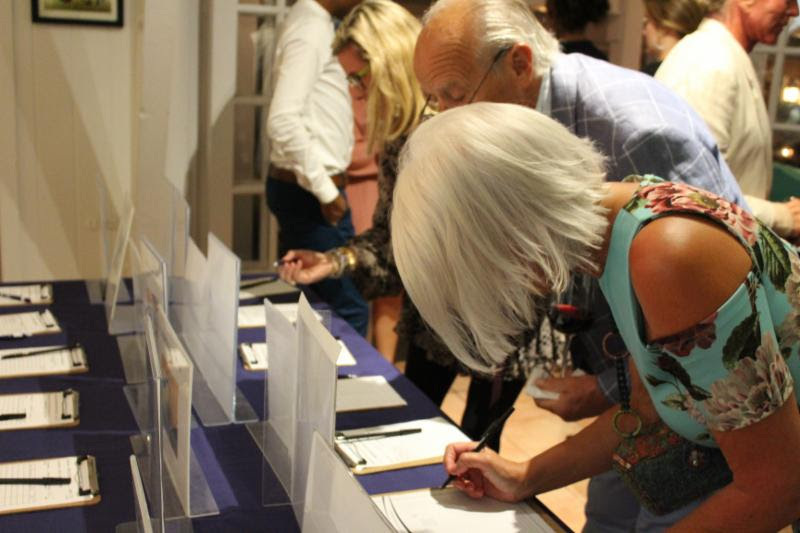 Reef Ball guests putting their bids in for the silent auction before dinner. 9:00PM-'til LIVE Music by "Suppatime"
Auction preview here - we will take advance bids via email up until 12 noon on Saturday Feb 16th! Can't make dinner? Join us for the after-party starting at 9pm! Suggested donation of $25, payable online or at the door. The Hope Town Zero Waste Program has placed the first of their community waste bins in town. The bins are marked in order to separate regular litter with recyclable aluminum cans (which must not be crushed in order to be accepted by the recycling company). Skylar Ogden recently visited FRIENDS to deliver a check for the proceeds of her reusable bag which was so popular it sold out! Thank you, Skylar, for sharing your talent and supporting the work of Friends of the Environment. 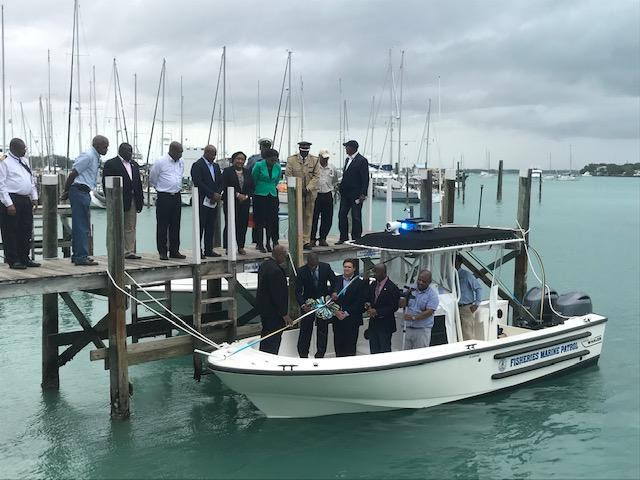 The Bahamas Department of Marine Resources dedicated a new 24 foot Boston Whaler Justice patrol boat in Abaco today. The event was attended by Hon. Michael Pintard, Minister of Agriculture and Marine Resources, many other Marine Resources representatives, as well as South Abaco MP, James Albury Island Administrators, and representatives from partnering organizations such as the Royal Bahamas Police Force, Customs, Port Department and local NGO's. Minister Pintard reinforced the government's dedication to enforcement and mentioned that this would be the first of three new boats in the country dedicated this year. He also indicated the Ministry's concern for the sustainability of our marine resources and announced that they will be returning to Abaco in February for further community consultations on the next steps for management of Nassau Grouper and Queen Conch. He stressed the importance of management decisions that are supported by science and strengthened through stakeholder consultation. Their bright colors and strong jaws make parrotfish easily recognizable. Perhaps less well known is the role they play in coral reef ecosystems and their significance to a healthy marine environment. 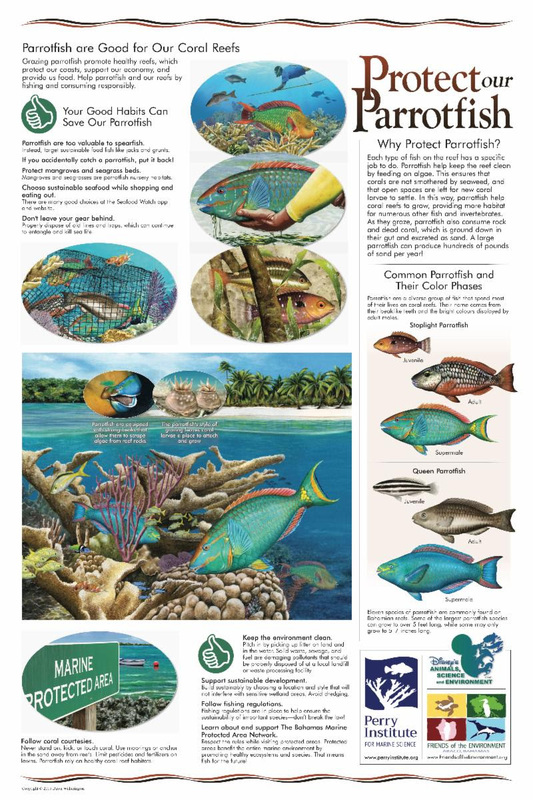 This poster, titled "Protect Our Parrotfish", was developed to help raise awareness with the general public and to encourage sustainable fishing. The below electronic version is currently available for distribution (download here) and we are working on getting printed copies to share. If you are interested in helping to distribute the poster in your island/community please contact us! 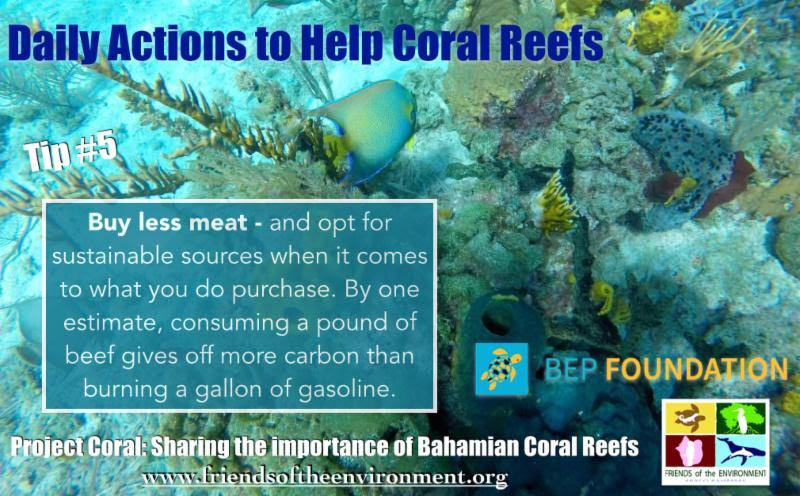 You can help coral by finding creative ways to reduce your carbon footprint. One option is to incorporate a meatless meal into your weekly menu, as meat production emits a high volume of greenhouse gases into our atmosphere through natural processes and farmland demand. Follow our Facebook and Instagram pages for tips on how you can change your routine in simple ways to help coral reefs! Thanks to BEP Foundation for their support of Project Coral. 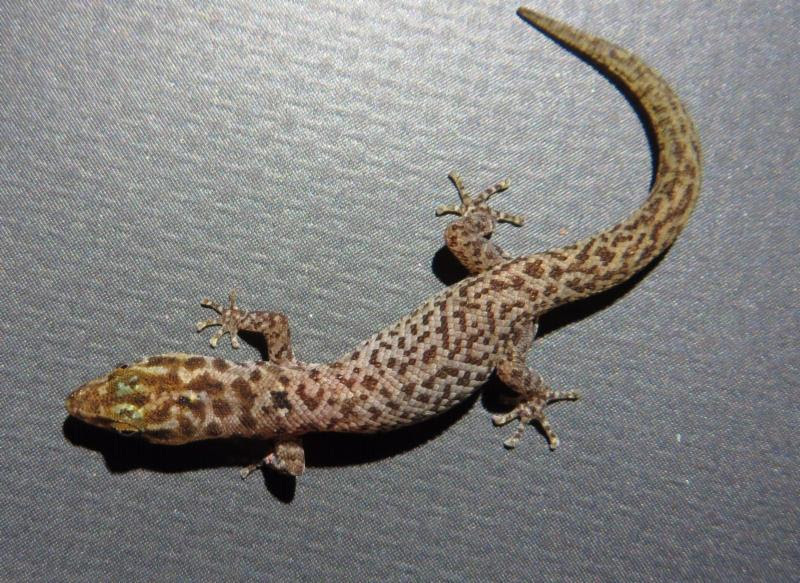 One of Abaco's most elusive inhabitants is the Reef Gecko, Sphaerodactylus notatus, one of 110 species of dwarf geckos native to the Caribbean region. These tiny lizards have spent the last 30 million years diversifying among the Caribbean islands, but little is known about how they colonize new islands, adapt to new environments, and eventually diversify into many separate species. The larger islands of the Caribbean host dozens of species, each with unique qualities and ecological roles. The Reef Geckos here on Abaco belong to a species with four distinct populations: the Great Bahama Bank, Little Bahama Bank, Cuba, and South Florida. Within and between these populations, there is a great diversity in size, shape, and coloration. Researcher Emily Powell from the University of Miami is focusing her studies on these populations to try to understand how the variation we see in this species might explain the patterns of diversity in the entire Caribbean region.